The long excruciating wait is over !!!!! Simi, the present queen of mixed african jazz and soul music is back again to give us the raging pearl of music this December. The award winning songwriter with an extraordinary unique voice has been making waves for herself over the years. Simi has collaborated with great Nigerian Artists to give us award winning songs. This is her first concert this year in Nigeria after selling out London last month and it promises to be a great night out with the Multi-award winning songwriter and artist. It’s going down on Sunday December 9 2018, at the Federal Palace Hotel, Victoria Island, Lagos. 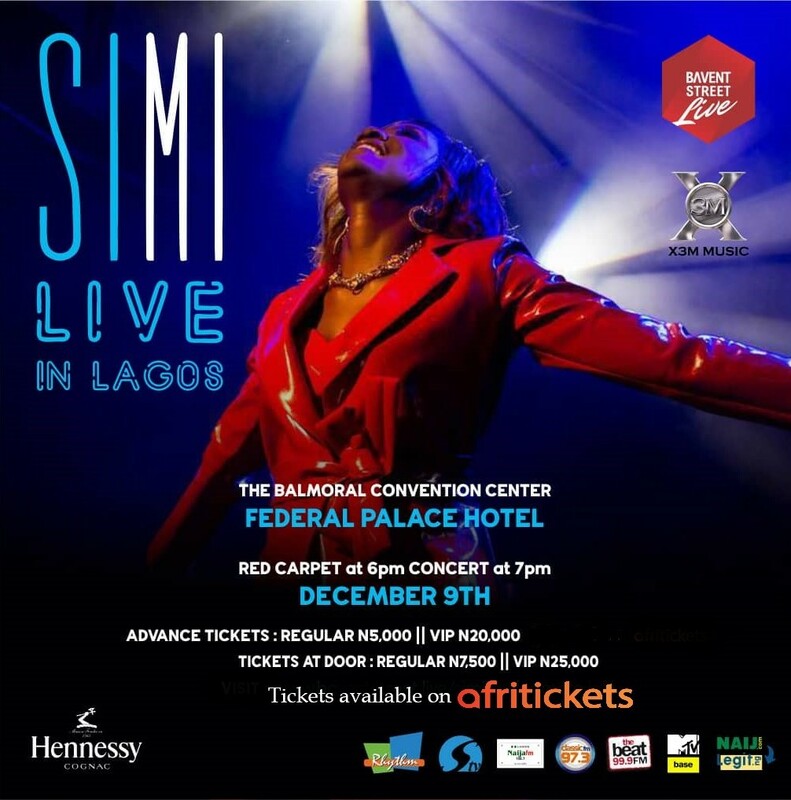 Simi will be joined by other amazing musicians such as Adekunle Gold, Mr Eazi, Falz and many more artists to give us an electrifying live concert.